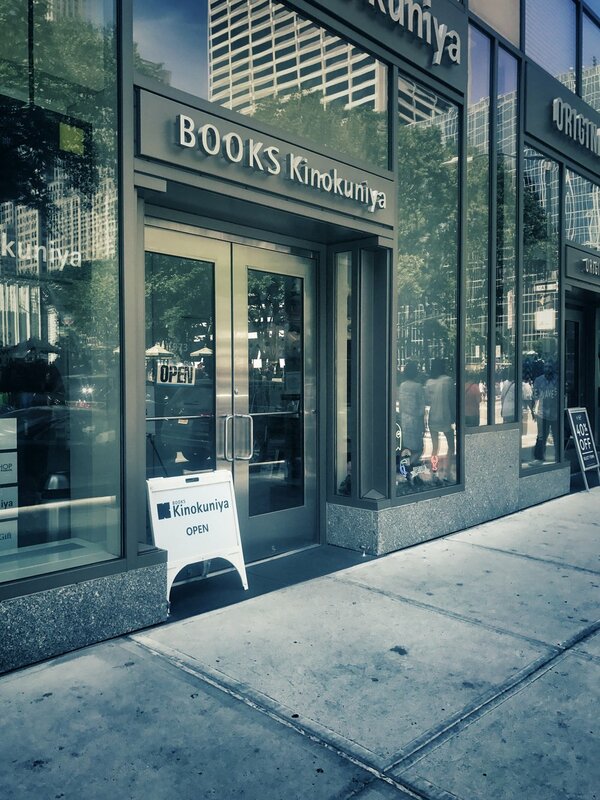 Our stationery tour of New York City begins right in the heart of Manhattan, at the Japanese stationery paradise: Kinokuniya. The shop rests directly across from Bryant Park near Times Square, and let me warn you- the window display and narrow (compared to the store itself) glass entryway could never prepare you for the insane amount of merchandise within. The store covers 25,000 square feet, and almost every bit of it is covered in books, comics, magazines, stationery, and other Japanese goods. As I was preparing for this blog post, I read that the store has three stories. That was particularly funny to me because I didn't even realize there was a third floor during my visit. Bring your family and friends along. I think it would be hard to find anyone who could not find at least one thing they were interested in within this store. Not a single person in my group left this store empty handed. Plan a good chunk of time to visit here if you can. Even the pictures above literally do not capture the amount of stationery within that basement. 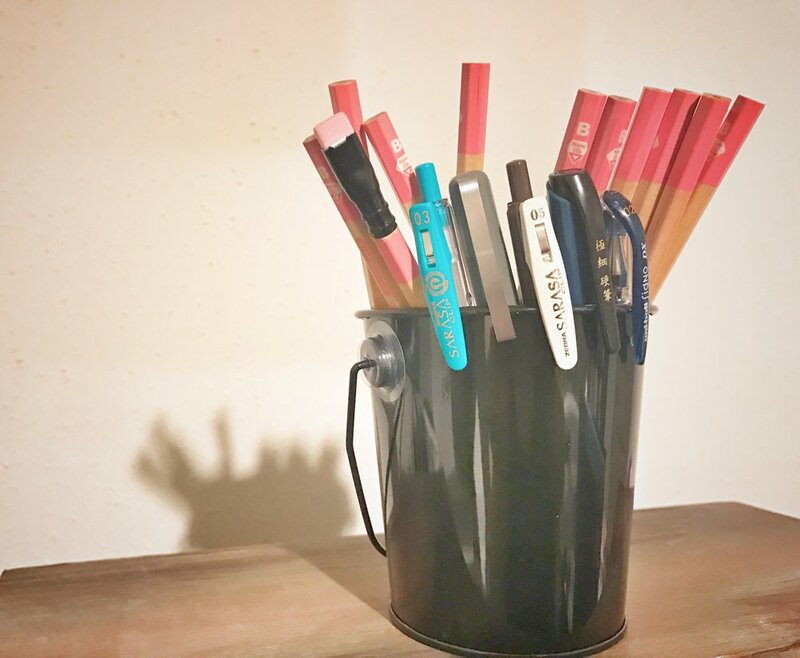 I wanted to point out in particular that the fountain pens featured in a glass cabinet (mostly a selection of Pilot, Platinum, Lamy, and Sailor) and fountain pen inks are not pictured above. I knew I was headed for a fountain pen specific shop later in my trip, so I moved over that section quickly to focus my time on the other merchandise. I can not imagine managing the inventory for this place, but one article I read (reference linked above) mentioned the store had over 50 employees. Some of those employees are delegated to watch over shoppers- there was definitely a high security presence in the shop. I can't really blame them with the massive floor space and amount of tiny pocketable goods that cover the shelves. I had an extremely hard time choosing what to take home, but in the end I ended up with a few favorites I knew I would enjoy, and a few items that were new to me. So far, my favorite item from the haul is actually the Nano Dia pencil. I love the natural finish, and the core reminds me of the extra firm Blackwing core (Backwing Volumes 24 & 530). So of course, I had to try to Hackwing it. I need to work on my whittling skills, but I have to say I'm digging the combination. Summary: Kinokuniya is well worth a long trip! 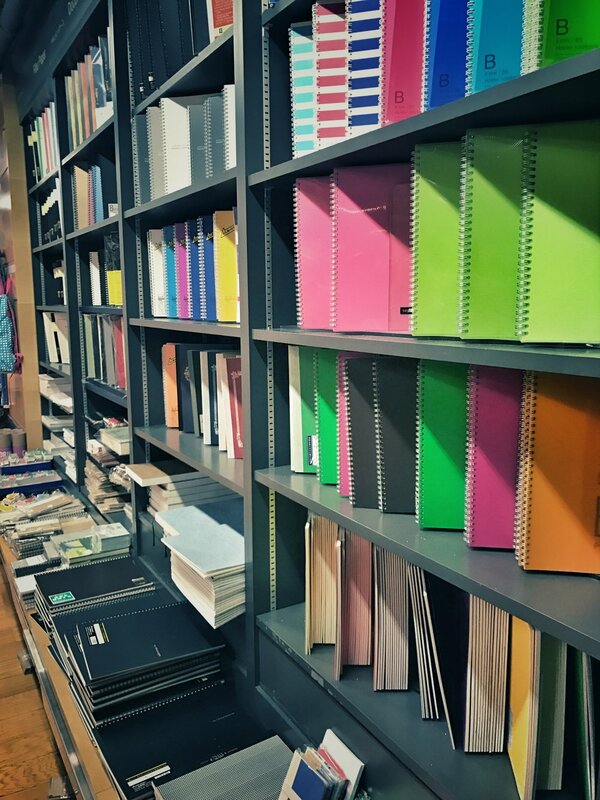 Stop by next weekend for the next NYC stationery stop! Special thanks to the June Thomas interview on Pen Addict for helping me chart my NYC Stationery Tour.